On his last duty assignment in 2013, Command Sgt. Maj. Todd Burnett served over the Corps of Cadets at the U.S. Military Academy at West Point. It was there that the highly decorated Purple Heart recipient was destined to meet Harold Earls, a freshman and “plebe” who was on the academy’s baseball team. What began as a few questions Earls posed to Burnett about preparing for Army life turned into daily phone calls, meetings and conversations. Burnett became a mentor to Earls, and the two discussed everything from how to successfully captain the baseball team to working through ideas that Earls wanted to turn into a reality. 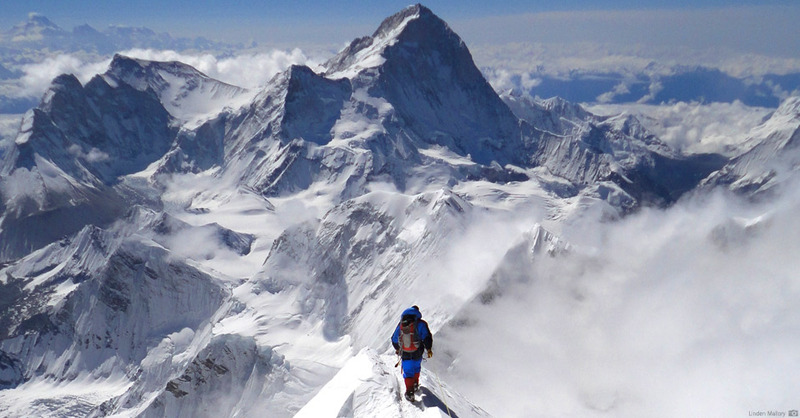 One of those dreams involved creating a team of the first active-duty soldiers to climb Mount Everest. Unwittingly, this turned out to be a way for Burnett to put the spotlight on his own goal: to highlight the suffering of veterans. Burnett holds the record for surviving the most improvised explosive device attacks in the Army: more than 45 over his 30 years of service. But in 2011, he began experiencing post-traumatic stress disorder and having suicidal thoughts. Anxiety would overtake him, and his moods would shift. On trains, he wanted to sit at the back to keep his eyes on everyone and prepare for an attack that wouldn’t come. He startled so easily that he would jump at the cry of a baby. For years, Burnett had always pushed forward, jockeying back and forth between Iraq and Afghanistan. But at West Point, life slowed down, and he was overtaken with guilt, wondering why he had survived so many blasts when others weren’t as fortunate. Burnett believes that veterans struggle after combat because they become used to someone checking on them. When they return home and are expected to partake in normal life, it’s a challenge. “When something triggers their PTSD and they feel like no one cares, they can make bad decisions,” Burnett said. To Burnett, Earls’ quest for Everest looked like the perfect chance to shine a light on veterans suffering in the dark. One in five veterans of the wars in Iraq and Afghanistan has been diagnosed with PTSD, which accounts for nearly 300,000 veterans, according to George Washington University. Putting a small group together to create ties while achieving the unattainable was not unlike the Army, creating trust and an intense life experience they would never forget, Burnett told Earls. It could also enable the forging of bonds between soldiers old and new. “I think the rate of suicide among veterans is driven by PTSD because they don’t have another person … they can call in the middle of the night when they struggle,” Burnett said. An estimated 22 veterans commit suicide each day in the United States. Together, Earls and Burnett founded the nonprofit organization U.S. Expeditions and Explorations, or USX, to shed light on the uphill battle veterans experiencing PTSD and suicidal thoughts face each day. USX also provides the chance for active-duty service members and veterans to go on team-building expeditions and participate in research initiatives together. But the first goal is for this team of two active-duty soldiers and one combat-wounded veteran to make it to the top of Everest by Memorial Day weekend. To take on the mountain, Earls used his outreach at West Point and went through other organizations to recruit a team of sergeants and captains. Emmy-winning director and best-selling author Sebastian Junger will film the expedition to document how everyone has their own form of Everest, be it a literal climb or battling PTSD. More than half the net proceeds raised by the climb will go toward helping soldiers who are struggling with PTSD. “Amidst camaraderie, you can find a sense of purpose and bonding,” Earls said. For retired Staff Sgt. Chad Jukes, this is personal. He was a lead gun truck commander on a supply convoy in northern Iraq when his vehicle was struck by an IED on December 17, 2006. The blast shattered his heel bone and broke his femur. He then contracted MRSA in the operating room, which destroyed the many bone fragments in his heel. Jukes chose to have his right leg amputated below the knee and to replace it with a customised prosthetic. Although he battled waves of PTSD after losing his leg, Jukes found solace and relief in nature. Undeterred by his amputation, he pursued his high school hobby of rock climbing and also took up ice climbing, leaving him primed to take on Everest. Also on the team is 1st Lt. Elyse Ping Medvigy, who has long pursued things that many do not naturally associate with women: field artillery in the Army and Alpine climbing outside of it. She hopes being the first female active-duty soldier to climb Everest will inspire others to challenge themselves. She likens being on a rope team for a climb to being deployed. “Their lives are in your hands. You’re roped together, and if one falls, you all fall,” she said. For her — and many veterans — the war may be winding down, but the soldiers will continue to suffer from what they have seen and experienced. “It’s never over for them,” she said. 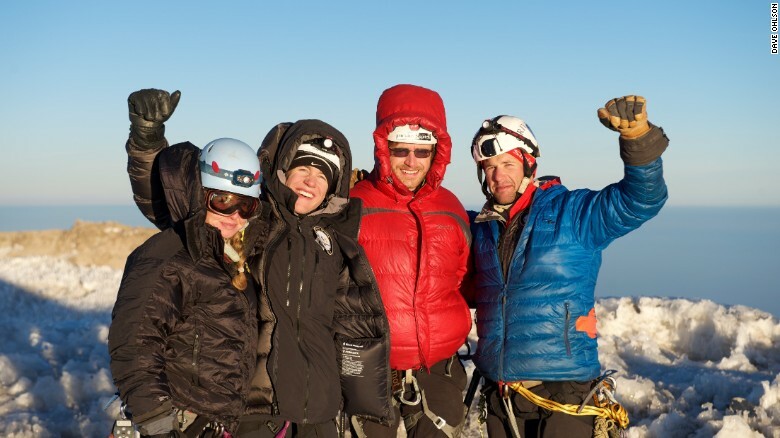 Beginning Monday, the USX team — Jukes, Medvigy and Earls — will be climbing the north side of Everest. The route is somewhat less scenic than the more popular south side, but it comes with the bonus of fewer crowds. The downside is that the north side is more technical, the camps are higher, there is more exposure to the elements, and helicopter rescues aren’t possible because they can’t go up that high. Jukes has the added challenge of making sure his prosthetic leg is up to the task. He will have to be mindful of frostbite and maintain the hygiene of his amputated leg, as his prosthetic fits over his residual limb and doesn’t allow the skin there to breathe. He must stay warm and clean to prevent the skin breaking down.